Entry-level Wi-Fi with convenient wired ports for connecting printers and IP phones, in a simple to install desktop model. To eliminate client stickiness, the RAP-3 includes integrated ClientMatch™ technology, which continuously gathers session performance metrics and uses this data to every device to the best AP and radio on the WLAN, even while users roam and RF conditions change. The RAP-3 also offers a variety of enterprise-class features, including role-based network access, policy-based forwarding, and Adaptive Radio Management™ (ARM), which gives remote workers the same high-quality Wi-Fi experience they get at corporate headquarters. Delivering a wireless data rate of up to 300 Mbps, the RAP-3 has three 10/100BASE-T Ethernet ports and one USB port for connecting to 3G and 4G networks. 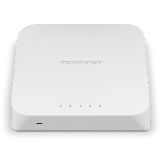 It is also available with an 802.3af power-over-Ethernet (PoE) port (RAP-3WNP model) for IP phones or other devices. 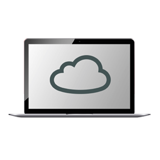 At locations that require greater coverage, the RAP-3 can join an Aruba Instant™ WLAN cluster. 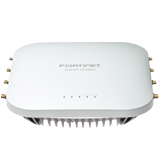 Simply install additional RAP-3s or any Instant AP and the entire cluster is managed as one. If one Instant AP fails, another AP automatically takes over with no disruption.